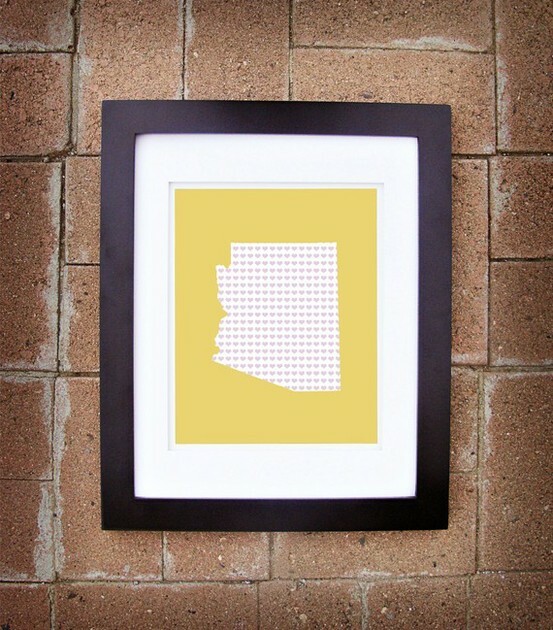 A couple of days ago I fell in love with a print of Arizona I saw on Pinterest. She had a few states, but she didn't have Texas. Being an AZ girl that is now in TX, I thought it might be fun to have both. Then last night I saw this cute image in my Google Reader. Kelli had made it for her little sister that had married a man from Louisiana. Such a cute idea for an engagement present. And the best part is that there is a really great tutorial on how to make your own state prints over at Lolly Jane Boutique. Of course, then I realized that I have a font on my computer that has the shape of states and I can use my Silhouette to cut them out. Now I have to talk myself out of thinking I need all 50 states hanging somewhere. Love this! I am thinking all 50 states would be awfully cute in a playrrom though! Love the Typography Map from etsy too! LOVE these esp. since they have my home state of Oregon represented. lol. I've wanted something like this for the kids to have in their bedrooms!! If you want to practice with Michigan, I'll buy it off you! Cheaper than buying my own Silhouette! What is the name of the font that you have with the states? I just realized I downloaded a file of all the fifty states from silhouette. What? I am totally doing this! I have wanted to buy one of these for a while. Now I will just have to make one for myself. These are so cute! 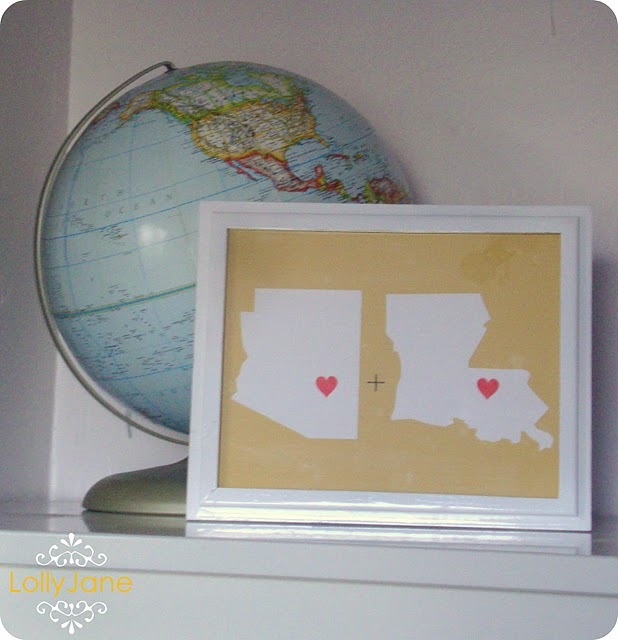 I was totally thinking that all 50 states would awesome in my boys' playroom! If you don't mind, what is the name of the font?!? 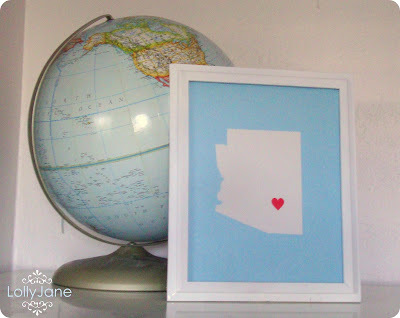 Love the idea of displaying all 50 for kids and the lovey states are even better! Yes, what IS the font you have?? Please share! Yes, I think that would be fabulous. This is so precious. I need to figure out how to make something similar to represent the places that my husband and I are from and where we've lived as a couple.